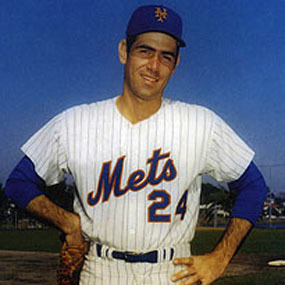 Art Shamsky was a professional baseball player for 13 years. 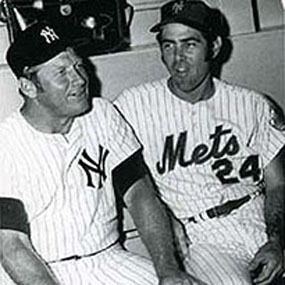 He was a major part of the ‘1969’ Miracle Mets that won the World Championship defeating the Baltimore Orioles. 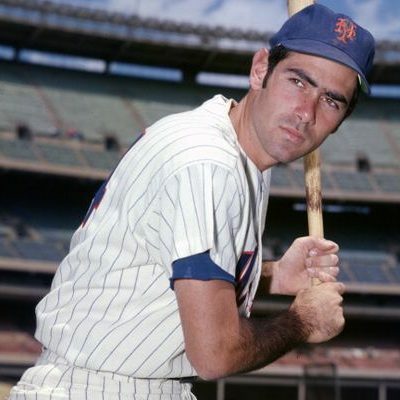 Art’s bat is in the Baseball Hall of Fame in Cooperstown, NY for hitting four consecutive home runs in four at-bats while playing for the Cincinnati Reds before being traded to the Mets. 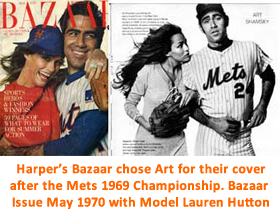 Art is available for personal appearances, auctions, speaking engagements, plus corporate and children events. Having worked as a sports broadcaster in television and radio, Art is a successful business owner, restaurateur, and real estate consultant. 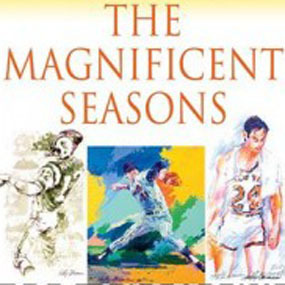 Art has a number of signed memorabilia products available, including baseballs, bats, and copies of his book “The Magnificent Seasons.” He also has a limited edition 16×20 black & white 1969 Championship Celebration Photo, personally signed by 28 members of the club, including three Hall of Famers.